Kernel participates in the EU Talent international project funded by the European Commission and which is being carried out in 12 countries. The mission of the project is to generate greater involvement of SMEs in youth employment through the promotion of models of professional practices (apprenticeships), dual training and other types of contracts that combine, simultaneously, training and learning In companies. Sensitization to more than 6,000 SMEs through an online communication campaign. Training for more than 100 SMEs through webinars and online training as well as meetings and exchange of good practices. Tutoring to 20 SMEs through a program to improve the quality of their professional practices carried out by the Forética team. Why has Kernel opted for quality internship programs? Because they allow access to future employees in which to find skills and specific qualities that the company requires, and which often may not be readily available in the labor market. Because recruiting young people in professional internships is a more economical and efficient way to attract talent than the recruitment of profiles in the labor market. Because professional internship programs allow us to improve the employer branding of the company in our local community and professional sector. 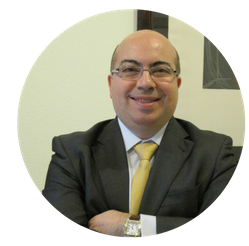 Jorge Fernández, CEO of Kernel explains on the EU Talent website the reasons to participate in this innovative international project. Incorporating people into the company always entailed a period of continuous training until the person in question was fully efficient. By changing our business model from selling expertise consulting to selling solutions, incorporating young people with high skills to offer them a career within the company made a lot of sense. The experience of having apprentices was very positive. On one hand, it allowed us to have a fresh and impartial external vision and new insights coming from talent with different backgrounds. On the other hand, it allowed us to have access to International talent due to the origin of the students of Esade’s Master’s degrees and the privilege of the methodological support from a prestigious Business School.